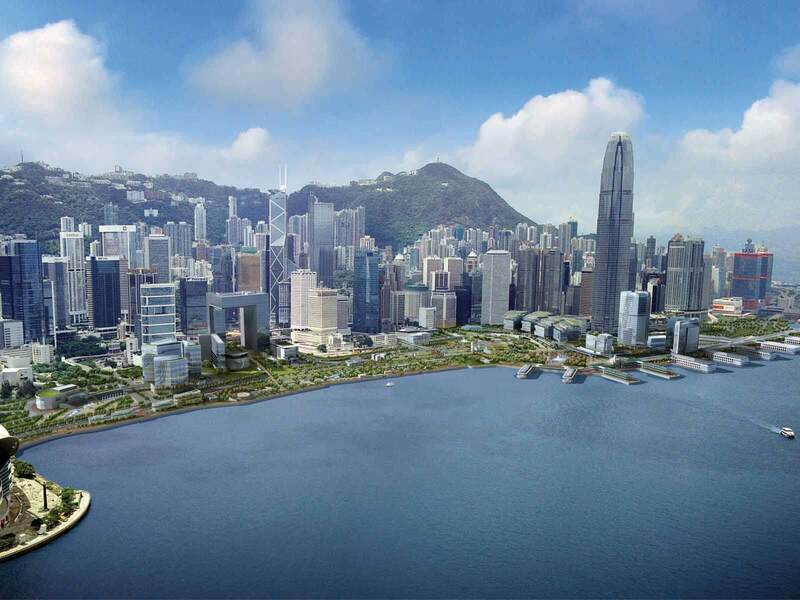 The new Central harbour front is a component of Hong Kong’s Central District extension scheme. Integral to the parcel is an east-west waterfront promenade and three north-south design corridors linking the city to the harbour.The land use framework included an emphatic requirement of meeting community aspirations for extensive public open spaces and fostering a vibrant new character for the harbour front. This study achieves this aim via a quality mixed-use development set within a lush landscape to provide spaces for festival celebrations. The new Central harbour front is a component of Hong Kong’s Central District extension scheme. Integral to the parcel is an east-west waterfront promenade and three north-south design corridors linking the city to the harbour. The land use framework included an emphatic requirement of meeting community aspirations for extensive public open spaces and fostering a vibrant new character for the harbour front. This study achieves this aim via a quality mixed-use development set within a lush landscape to provide spaces for festival celebrations.